Printed Matter’s NY Art Book Fair (NYABF) returns to MoMA PS1 September 21 – 23 with 365 artists, collectives, and publishers large and small from around the world. Most of us will try to walk past each table, but with the number of tables and the crowds, it’s easy to miss one that might have caught your eye. We want to make sure that you visit the exhibitors who have a connection with China, Hong Kong, and Taiwan. Here are eight we know about. If you find any that we’ve missed shoot us an email at beyondchinatown@gmail.com. Taking inspiration from every day life and approaching her work with humor and mixed-culture experiences, Hong Kong-born and UK-raised Charlene Man (Table A53) creates art which, in its joyful simplicity of composition and color, is open to all. 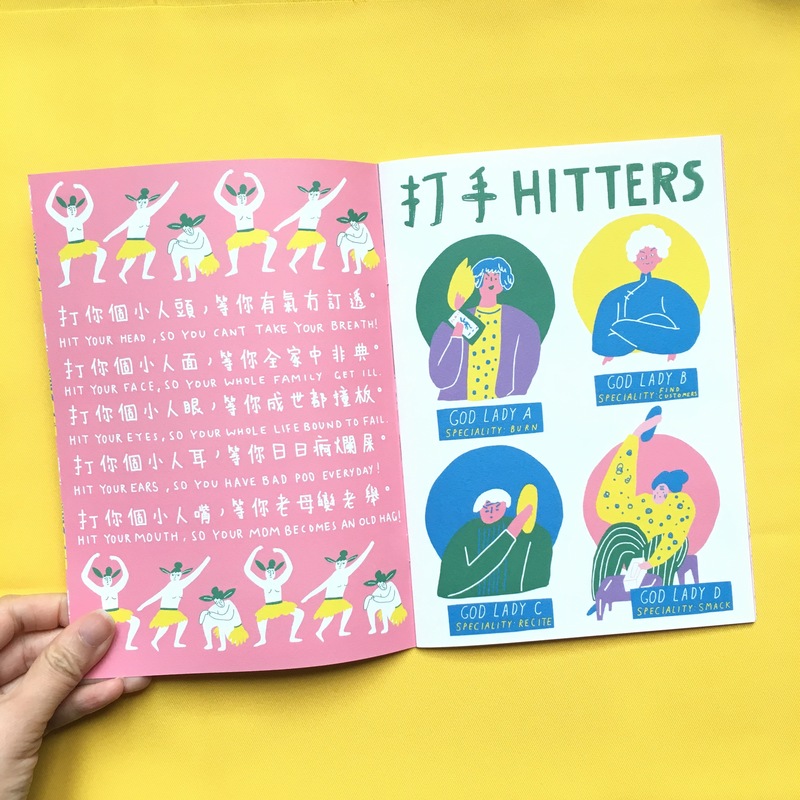 Her first zine, Collingualism explored both Cantonese and British colloquialisms in a dictionary format to introduce both languages to audiences from both the East and West. She explored a traditional folk sorcery found only in Guangdong in Villain Hitting. Paradise Systems (Table A31) publishes comics from the United States and China. Based in Brooklyn, Paradise Systems “releases and translates narrative-driven titles with a focus on comics from China” and “seek[s] to create a community of writers and readers that relish in weird, sincere, experimental storytelling”. In April, they hosted an event at Printed Matter in Chelsea where two Chinese illustrators based in New York and a comic book writer from China shared their work and their experiences in the industry. 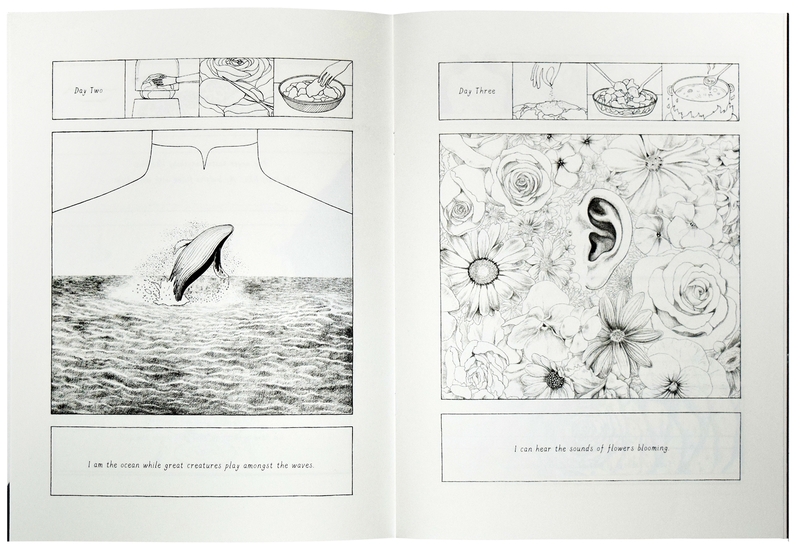 A number of titles will be available at their table, including Captivity by Xiang Yata (象牙塔), a collection of her meticulous pencil work which experiments with page layouts and perspective. There’s a surreal and dreamy nature to artist and educator Jia Sung‘s (Table A78 and with Endless Editions at A21) paintings and sketches. Born in Minnesota and raised in Singapore. Currently, she is currently an art director at Guernica, 2018-2019 Smack Mellon Studio Artist, and recipient of the Van Lier Fellowship. Since graduating from RISD in 2015, her work has been featured in publications such as Hyperallergic, Jacobin Magazine, the Poetry Foundation, TED Talks, Lenny Letter, Nautilus, and exhibited at La Mama Galleria, the Whitney Houston Biennial, and the RISD Museum. 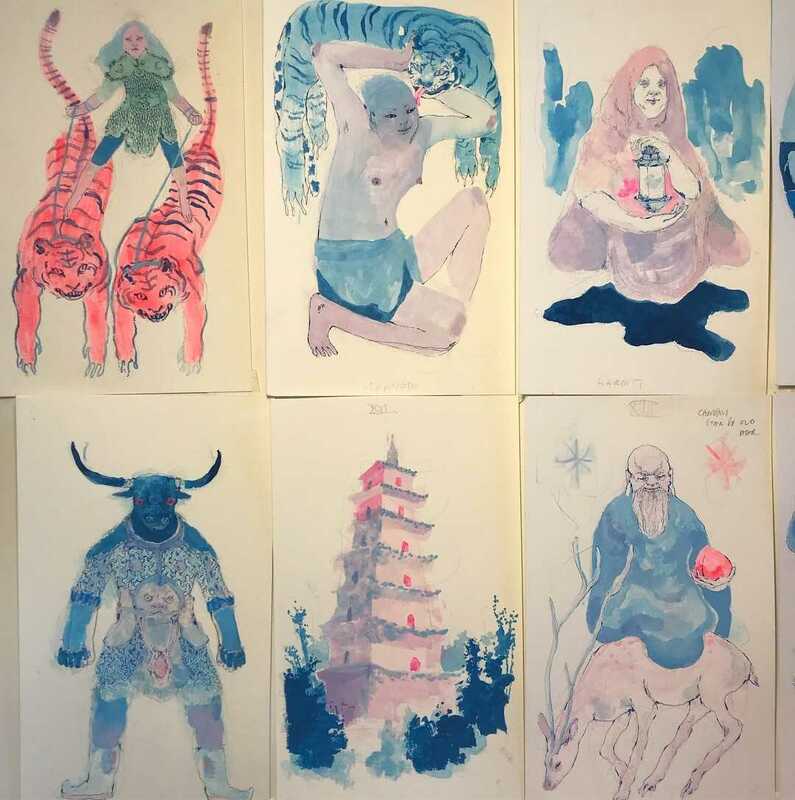 She bring to the NYABF, Trickster’s Journey a reinterpretation of the major arcana, drawing from the 16th century Chinese classic Journey to the West and Tang dynasty aesthetics, to tell the story of the Monkey King’s path to enlightenment. This deck comes with a companion book to help with readings of the deck, and is produced through Endless Editions’ Copy Shop Residency. 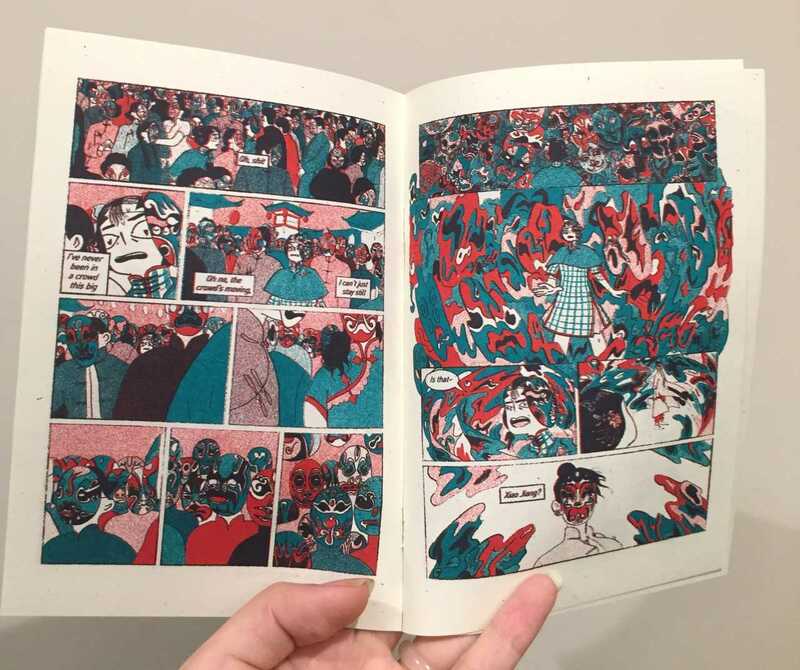 Sarula Bao (Table A78) is a Chinese American illustrator and graphic novelist based in Brooklyn. She recently published a graphic novel, Lissa: A Story about Medical Promise, Friendship, and Revolution and currently works as a graphic novel project manager/visual consultant and freelance illustrator. Thomas Sauvin (Table W07), the artist and collector, salvaged a million film negatives and developed many of them for his Beijing Silvermine project which became a storied chronicle of 80s and 90s China. He has played with the traditional format of the photobook with Xian and Until Death Do Us Part, which took the form of a pack of cigarettes. LINGUA, founded by graphic designer Yixue Li, a maker of linguistics zines. With a focus on languages, semiotics and linguistic structures, LINGUA has designed and printed a series of zines and posters that visualize and write about linguistic data. Topics discussed include: how to use sign systems to decode minimal pairs in phonology, how to visualize morphology by breaking down receipts, what is the lexical gap between English and Chinese, how to make sense of grammatical nonsense, and how to contextualize daily matters, etc. This ongoing publication also aims to address one’s socio-cultural identity in the multilingual discourse.